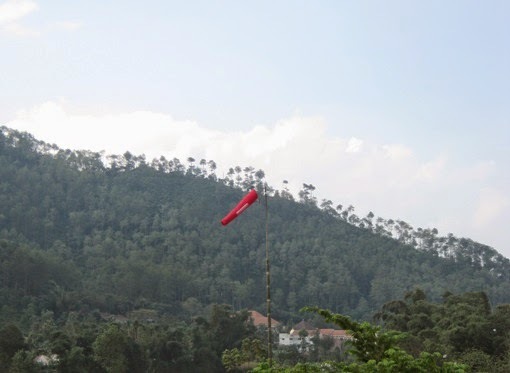 This red wind vane located at the landing field of paragliding sport (Batu, East Java, Indonesia). Its noticeable color helps people to determine the wind direction from far distance. A very useful red in what seems a scenic area. In the U.S. we call them "wind socks." I like the brilliant red of this one!